Webster’s defines crisis as “a difficult or dangerous situation that needs serious attention.” I experienced a difficult situation when my partner Sarah’s best friend died less than a year into our relationship. At the time I didn’t fully comprehend the extent to which our relationship would be tested. While the death of close friends or family members is inevitable for seniors, providing crisis support is typically difficult and can overwhelm an unprepared partner. In truth, I had no idea what Sarah expected from me after her best friend died. Sarah and I were already in love and committed to each other when her crisis unfolded so she expected my support. I was willing but not totally confident I could provide the requisite level of ongoing support. I’d been on the other end of the crisis scenario when my youngest son died fifteen years before. I wasn’t in a relationship at the time but had close friends whose unflagging support got me through my crisis, so I had some notion of what Sarah needed. It warmed my heart when I held Sarah patiently and lovingly while she grieved, but it put pressure on our still somewhat new relationship. There were times we felt so emotionally drained that it seemed like our relationship survival needle hovered near red, but I was devoted to supporting Sarah. Her crisis became a teaching moment for me. I learned what’s involved in providing long-term emotional support to a partner in crisis, and equally important how to survive the experience and still be in love. Woody Allen says that 80% of success is showing up, which applies perfectly to supporting a partner in a crisis. Putting Sarah’s emotional needs ahead of my own was easy at the funeral and the memorial service that followed a few weeks later because I felt her healing was a given, albeit of indeterminate length. But after several months providing support became problematic when my emotional needs weren’t being met. And even though I understood the nature of loss, I still stumbled occasionally to show Sarah the patience and kindness she needed and deserved. But I pushed past my needs because absent abandoning her, which was unthinkable, continuing to support her seemed the only viable path. Looking back on this experience I recognize that supporting a partner in crisis is entirely about love. 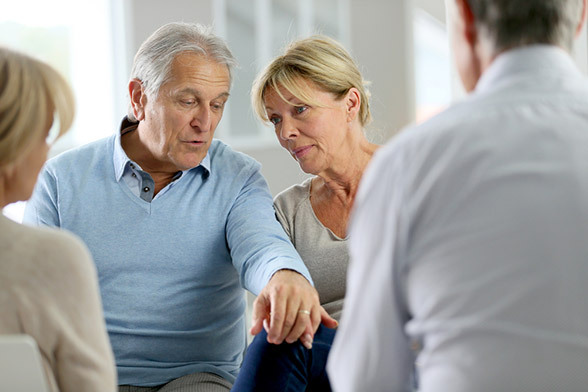 So the question for seniors isn’t whether to support a partner in a crisis, but how to provide that support in a manner that works for both partners. Our emotional connection deepened measurably because I gave my support freely and lovingly, and Sarah noticed and appreciated my efforts. Working through this crisis together set the bar in our relationship higher and strengthened the relationship’s foundation. My unstinting support allowed Sarah to see me in a different light and appreciate me in a more meaningful manner. It’s important for seniors to recognize that the ability to provide unconditional emotional support to a partner in crisis isn’t necessarily innate. 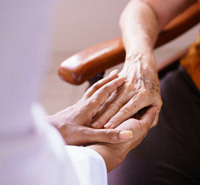 It’s an emotional skillset that most seniors learn over time through deepening their emotional connections with friends and family. Successful senior relationship crisis resolution relies on both partners’ emotional skills because knowing how to give emotional support needs to be met by knowing how to accept it. The love and support you offer a partner increases their sense of safety in the relationship because you demonstrated you can be counted on in a crisis.